Mentoring is a big responsibility, but’s it’s also a ton of fun! Becoming a mentor to a child is a big responsibility – but it’s also a lot of fun. If this is your first time mentoring a kid or your 20th, here are some lessons to help you make the most of your time with your “little brother” or “little sister.” After all – fishing isn’t all they’ll be learning, so it shouldn’t be all that you’re teaching! 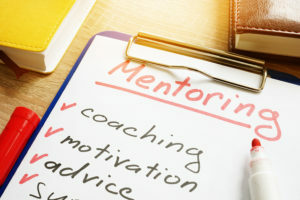 An older mentor is something different and special – not a regular friend on the playground, but a cool older friend full of wisdom and experience! Don’t be afraid to guide your “little” into good behaviors and choices, but don’t boss them around like their parents do. Learning to make good decisions takes practice! Respect your little’s opinion and ask them to help you make decisions throughout your time together. So many parents don’t let their children make any decisions – this could be their only opportunity to stretch those muscles … so let them. Your little isn’t going to become a championship angler overnight. Or maybe ever. And that’s ok. The point of the mentoring is to share the love for fishing and the outdoors, while creating great memories and learning about life along the way. What they catch is way less important than what they walk away with. Grownups have a bad habit of not listening to kids just because they’re kids. And they’re missing out on so much! You’ll honor your little by listening to what they have to say and respecting their thoughts and opinions. It’ll give them a big boost of confidence, too! Building a relationship with a grownup is a big deal to a kid – they probably don’t have any other than with their family and teachers. Your mentorship arrangement will teach them a lot about friendship and adulthood. So remember to keep what they tell you private (unless someone is in danger, of course), do what you say you’re going to do, and remember – you’re setting an example they’ll take with them for the rest of their lives. Why do I have to buy a fishing license? Join the Bass Louie Club to GET A FREE STICKER AND TATTOO! Check out our Newest Resource!